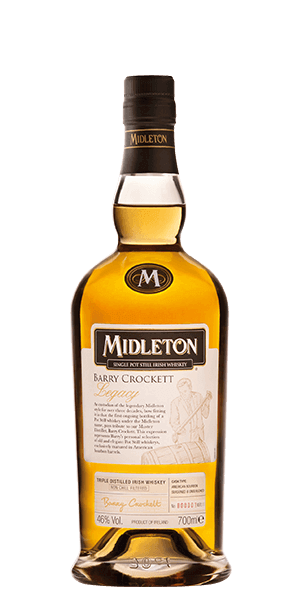 Midleton Irish Whiskey Barry Crockett Legacy is adored for its caramel, vanilla cream, honey and sweet flavor notes. This Irish Whiskey is carefully distilled at Midleton distillery, Ireland. Based on 57 votes, the average rating for Midleton Irish Whiskey Barry Crockett Legacy is 8.8/10.